It's Pork Month and we think that's worth celebrating! We've been posting Fun Facts on Twitter and some of our favorite pork recipes on the website. Have a recipe you think we should share? Send them to us and they just might make the list! 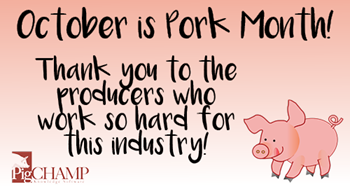 Thanks for all you do for the pork industry, not only in October, but all year long! 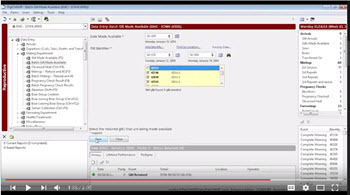 Tips and Tricks this month highlights two of the upgrade features from our latest list of enhancements. Have you Upgraded to Version 5.6.0 yet? 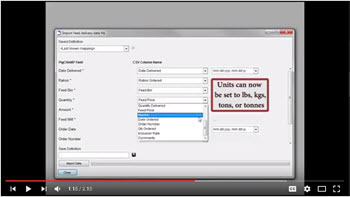 In September, we announced the launch of PigCHAMP Version 5.6.0. You should have received the email with the announcement and download instructions. If you didn't receive the information go to the link below to find the instructions and complete the download. Then, reply to this email so we can make sure you're properly entered into our database.